A beach wedding in a tropical country is the stuff dreams are made of. A Caribbean destination wedding can be magical and exciting – and a great way to "get away from the everyday". While planning a wedding outside of your hometown does have its complications, there’s no reason to have a wedding disaster in paradise – if you follow a few tips. Tropical or Bust? Consider what the weather will be like that time of year. 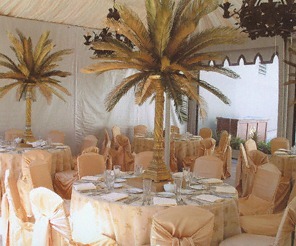 An off-season wedding might be cheaper – but might not be as tropical as you might be hoping for. Plan Ahead. 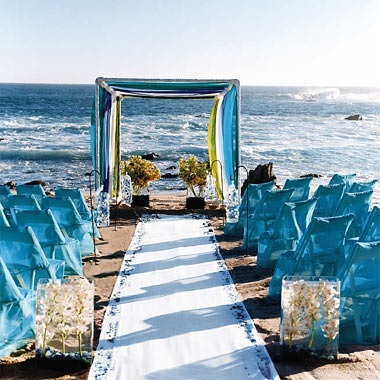 Destination Weddings may sound impulsive – but they require a great deal of planning. Many recommend booking flights and resorts up to 10 months in advance. Hire Help. You probably have enough to think about without trying to research every aspect of your wedding – especially in another country and timezone. While you might like the control of planning everything yourself, hiring an on-site wedding planner who has local connections – or getting someone with experience planning in your intended destination – may be just the stress-reliever you need. Be clear about your budget – and that of others. Some sites have calculators so you can plan effectively. Remember that some of your guests won’t be able to afford to go to your destination, so make sure that the people you most want to attend can afford to go – or budget to cover their costs. Choose the perfect place. Porto Cupecoy (http://www.portocupecoy.com) is the perfect tropical location for a 2010 wedding. Porto Cupecoy is a luxury residence on the island paradise of St. Martin. While it’s primarily a residence, it will also be an ideal location for special events, like weddings, when construction is complete later this fall. The Porto Cupecoy Marina Village is located on Simpson Bay Lagoon in St. Martin, one of the most beautiful locations in the Caribbean and the perfect backdrop for any wedding. Somebody’s going to be mad. I’ve heard it all at this point. There are a lot of “arrognorant” (the lethal mix of arrogance and ignorance plaguing the world) advice going around now that it is wedding season. Once again, I feel it is prevalent because of the horrible economic tides we are trying to tame as well as the overall lack of public trust in any practically any business (Thanks, AIG, Freddie, Fannie, Madoff and countless others! You’re a swell bunch). What’s (the lie) going around now is that it’s smarter to tell your vendors that you are planning a “big party!” rather than a wedding, because everyone knows that entertainment/event vendors are out to rip everyone off the minute they say “The W word”. So to combat that, and to make sure you protect what’s left of your 401K, you decide to lie to everyone. It’s like going to the doctor, tell the staff that you have a terrible stomach ache. Once you’ve been whisked back into the doctor’s examining room, you reveal “Just kidding. I’m really pregnant and in labor right now. I know when you guys hear the word ‘maternity’, the prices double”. Trust is a two way street. Your wedding vendors are trusting that you will pay them on time. So that, in turn, they can pay their staff, mortgages and gas and electric bills on time. They are also trusting that you will keep your date and follow-through with an actual event. More likely than not,they have turned down other events so that they could show you exemplary client service and attention. When you lie to them from the beginning (because they will find out that it’s an actual wedding, and not some “big party”), they have no incentive to trust you, let alone like you. It will make your vendor feel as if you questioned their integrity without communicating any concerns, and decided to deceive them for your own benefit (a little pot calling the kettle black, eh?). In case this piece of info isn’t printed in anyone’s wedding magazine or allowed to run rampant on a wedding message board, I’ll say it here: wedding vendors are a tight community. If you feel the need to try to get over on any of your wedding vendors with lies and deception, you had better believe that other wedding vendors will hear about it, too. It could make it a lot harder for you to find other vendors that will want to work with you once they have heard about your antics. A wedding is not just a big party. It’s your wedding. Don’t take anything away from that by calling it something that it isn’t. If it were really just “one big party”, then why not go to the courthouse and rock out at Chuck E. Cheese? There very well may be some unscrupulous vendors out there who mark their prices up because it’s a wedding, and some may feel warranted in doing so due to the expectations and other details they will have to deal with. For the rest of us that run our businesses honestly, we have set our prices for the amount of work we do. As a wedding planner, it is my job to make sure that brides and grooms get what they are looking for and that any wedding day related charges are services are legitimate. If you run into several mark ups with venues or vendors that you have dreamt of using, it may be time to find vendors you can actually afford to use. If you find someone who is less than honest about their fees—do not book them! I’m sure my other wedding planner and vendor friends will be able to offer so much more insight, so let’s keep the conversation going. A Good Wedding Planner is Like…. I was looking to find a foundation to replicate the stunning coverage I received when I spoke at Eventology earlier this month. I was uber excited to find that one of my favorite makeup artists, Kevyn Aucoin, had a new liquid airbrush foundation line out. I love everything Kevyn, but did not want to drop $45 online since I don’t have a local Sephora in my area to actually test the shade I thought I needed. But, it did spark a very thoughtful moment. A good wedding planner is like foundation. A great foundation helps you cover imperfections, hide flaws, enhances what you already have and makes you look better. A wedding planner can do the same things. S/he can help you cover all of the things that aren’t quite perfect or unexpected mistakes (at times without you knowing!). But additionally, instead of recreating your event vision, s/he will take what you want and have, enhance it and make it better. On that same token, it’s imperative that you find the right match. Your foundation has to be the right match for your skin type, skin tone and does what it wants to you to do (matte finish, medium coverage, etc.). If you don’t—it makes you look bad, can cast that ghastly makeup shadow or mask and can work against what you already have (skin type, shade, etc.). The same thing goes for your wedding planner. A planner’s lack of experience or work process can make you and your event look disorganized and poorly designed. It can also take away from everything you have planned and make what was to be a focal point or special attraction, an eyesore. Let’s talk money, now. Look at the above, we have the Kevyn Aucoin liquid foundation which retails for $45. The Cover Girl retails for $11.49. Sometimes the 11.49 will carry you over, but on your wedding day, you don’t want to be just “carried over”. You want to be flawless. There are also times when the $11.49 is all you can afford, because $45 is a lot of money to pay if a.) it’s not what you want or b.) it doesn’t work the way you want or how you need it to. However, with the $45 foundation, you are getting premium ingredients that will work in a system to provide premium results. Sometimes you have to know and see the difference in value and service between someone providing, let’s say a day-of-coordination for $300 and another providing it for $1000. If you want a successful and productive relationship with your event team, keeping secrets are a “no-no”—yes, even accidentally on purpose. It is similar to the relationship with your doctor or lawyer; if you want us to really help you, we do need to know everything. I typically tell my clients what my Contract Law professor told me: “Clients should tell you everything, and you can decide what’s not important”. This is very true, and rings true in our profession. 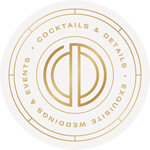 We represent you to your caterer, florist, venue—practically everyone you come in contact with. Therefore, it is imperative that we always stay on the same page. Lack of communication and embarrassment can and has been the downfall of what could have been beautiful weddings. 1. The budget changes If for any reason your budget increases or decreases, you need to let your planner know as soon as possible. Your planner bases his/her recommendations based on the event’s personality, the dynamic between you and the vendor providing a service, but also on your budget. Any changes in your budget may put you in a different price bracket—either allowing you to choose between a higher caliber vendor or cause you find a more economical resource. Fear not, your planner can help you by creating a new set of priority shifts to meet your new budget to ensure you get what you want and need. 2. The family dynamic is off Some families have issues—others have subscriptions. And that is okay. If your parents are divorced and your mother would like to literally rip the face off of your stepmother or if the groom’s brother is the undependable black sheep of the family, your planner needs to know. To avoid any gaffes at the rehearsal or planning of the day, be sure to let her know of any rough edges either family may have. If you feel more comfortable discussing these potential pitfalls with your planner one-on-one, definitely take the time to do so. Your planner does this often enough to be able to foresee any mishaps and help you avoid them. 3. Critical vendor changes We want you to be proactive with all of your vendors, just be sure to keep us in the loop. If you ordered 20 burgundy bichon table linens, but then change it to 25 merlot lamours, your planner definitely needs to know. If you fire a vendor or change their service, it’s best to let your planner know as soon as possible. Do not assume that a change is too small to notify your planner; one simple change can cause a logistical nightmare. Since s/he will be responsible for confirming services and executing your day, having the latest, correct information is not optional. 4. You are not happy with his/her service Do not suffer in silence. Your planner is there to assist and guide you, not to be a hindrance to you enjoying your planning and special day. If your expectations are not being met, please bring them to your planner’s attention. Ask your planner if you could have an outline as to when you should expect certain things to be done. I am quite sure that your planner will welcome the opportunity to better assist you. Remember: open lines of communication…always. A lot of my blog and pro friends have written about this– about how to apply, or inquire about a position with a wedding planner. I never ever ever in the history of fabulousness thought I would have to write something like this… but here it goes (and of course, I write with all the Terricaisms that bring you joy, luxelings). 1. )You use my contact form. You are not a client. You are not a prospect. You are not getting married. Why are you using the contact form? It would be awfully nice if you took the time to research to see if I had an employment page, an HR email or the like. 2. )Your FIRST communication with me is poorly written. If your email looks like one of the LOLCats wrote it, it ends up in my trash bin. Period. I can teach you the ways of a wedding planner. I do not, however, teach grammar, spelling or English. This is an internship. Not an early literacy program. 3. )Your first communication with me is your resume…and ONLY your resume. Honey, that’s just rude. This shows me immediately that you have no imagination and personality. Sure, I have enough for both of us, but I don’t want to share. It’s BYOP. 4. )Three letters: T.M.I. I don’t care to know about where you were last night, who you were with and what you were doing. I’m not your girlfriend. I don’t want to hear about or see (two words My Space…Yes, I check it!) how plastered you were for spring break. If I can google you and find you in a bikini or some other compromising position– trust and believe that my clients can too. NEXT. 5. )You call me and the first words out of your mouth are: “Are you hiring?” Again, rude. Even if I was, I wouldn’t tell you. Not the way to apply. You have to wow me, sell me, make me love you. Playing 20 questions is not the way to do it. 6. )You know nothing about me or my company. If you can’t tell me anything about my business, how can you tell my clients? Do your research. I’m not asking for a book report, but at least show me that you can fit in as opposed to blindly sending out your resume. 7.) You tell me this is your DREAM. I hate this. I’m not looking for dreamers. I’m looking for someone who can work hard, laugh hard, and make it happen. You want romance and happy flowers, get a Disney movie. 8.) You’re a wimp. (Couldn’t really find a better way to word it, sorry). Let me put it like this: On the outside, you see the beautiful bride, handsome groom, proud parents happy guests…good food, awesome music, beautiful decor, and gorgeous venue. The inside: timelines, 12 hour work days, climbing stairs, ladders, putting floors together, moving tables, bustling dresses, crying flower girls, unpaid vendors, bridesmaids, drunk groomsmen, tired feet, and that’s only the half of it. If you’re worn out just reading that, we need not go any further. Just stick to the blog. 9.) You have no sense of style or decorum. I sell style. Plain and simple. I sell style and security. When we meet, I need to see how you would meet with my clients and vendors. So yes, honey, I’m checking you out: your clothes, your hair, your makeup, your accessories….all of it. Do your clothes fit properly? No bulges, pulling buttons, tight clothes, cleavage, etc. How well are you put together? Do you look like you stepped out of a magazine, or that you should be hit with one? Have you come professionally dressed or could I mistake you for hanging out at the mall with your friends? Are you personable adn witty? Are you shy and reserved? Are you crass and loud? First impressions are not just everything, they are the ONLY THING. 10.) You think you can do it because you saw it on TV or planned your own wedding. I’m not looking for a human TiVo machine. I don’t need you to spew every line from The Wedding Planner or the hottest new wedding show. That’s like you going on a medical rotation and telling the doctors about what you saw on Grey’s Anatomy. I’m glad you’ve planned your wedding. It was fun, wasn’t it? Now do 12 simultaneously! (Why are you crying????) Realize that you have to bring something to the table, as well as being ready to learn and do some grunt work. That being said– Yes! We have internships open! Do you have what it takes to apply? Yep, it’s true! 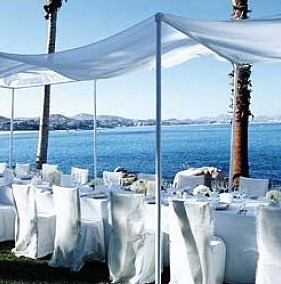 Your other vendors can be of great assistance in choosing a reception site after you choose some of your other vendors. I know some of your books and sites say choose the site first, but there is really some logic to choosing your site perhaps second or third. Let’s say you contract a photographer that you have been swooning over for a few weeks or months. Looking through her portfolio, you might see a venue that really grasps the vision you are trying to shoot for with your wedding. You can also seek your vendor’s counsel if you are undecided about a venue or would like some ideas as to where to start. Your photographer can tell you what venue has wonderful photo opps to add to your photo album. The same goes with your florist– they can tell you what site is easy to design and decorate. They can also suggest which sites can be complemented well with minimal design or those that can be “re-concepted” from scratch. There is another reason that this is a good idea– you definitely want your wedding event staff to get along on the day of the wedding. Contrary to popular belief, your vendors are notsecond class citizsens, nor are they serfs slaving away for the glory of your wedding day. Unfortunately, some venues treat wedding vendors this way, causing a lot of disdain and dislike among professionals in the industry. So much so, that man vendors actually blacklist venues– they will not work at a specific venue and will not take your wedding if it is scheduled there. To spearhead any problems between your vendors and your reception site, when interviewing venues remember to ask additional questions such as: what type of vendor meals they provide, do they “require” vendors to report to anyone in their staff, are they required to use a certain entrance, etc. Find out as much as you can for your vendors as possible. Another great resource is your DJ. He arrives after the setup and is like the “fly on the wall” he sees all and has to interact with the reception site. Remember to get a successful event, everyone has to work together without ego or any air of superiority. It should be all about you– not your vendors.